Artist, graphic artist, painter of book. 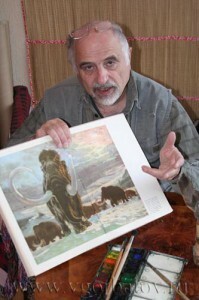 His creative work is devoted to the world of animals and interrelations of man and wildlife. Reliability and convincingness of works of the Artist – result of personal impressions and hundreds of sketches in nature. Together with zoologists, cinematographers and hunters he visited the most diverse corners of Earth, from tundra of Siberia and Alaska to jungles of Cambodia and Ecuador. The name of Vadim Gorbatov is well-known not only in Russia, but also abroad. He is the only Russian artist, whose works are included in the book «300 years of Animalistic Art» and «Modern Animalistic Art», published in Great Britain. He is the only Russian participant of all artistic projects of Dutch Foundation «Artists for Nature Foundation», united many known animalists of the world. 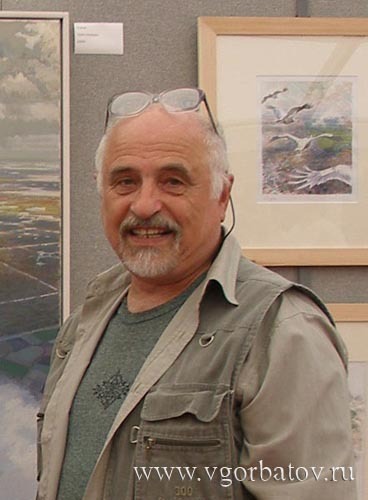 Vadim Gorbatov has a PhD in the Arts, he is a member of Russian Union of Artists and Union «Artists of Wild Nature» in Great Britain. 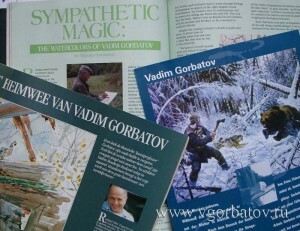 Works of V.Gorbatov are kept in galleries, museums and private collections of many countries of the world. On creative work of Vadim Gorbatov it was written many articles, published in newspapers, journals and books in different countries of the world. Several time the Artist told about his art on radio and TV. Famous zoologist and writer Gerald Durrell did a programme on work on Vadim Gorbatov that was included in documentary serial «Durrell in Russia», demonstrated in many countries of the world. In this section it’s possible to read some notes and articles about the Artist. In spite of the fact that it’s written a lot about the Artist, all of that is a view from aside. In this sector it’s possible to know what does Artist think about nature, animalistic art, on an art in general. Here anyone can read his memoirs about childhood, stories on trips, expressions from works of other artists.